Superdry women’s Alice zip hoodie. This premium quality hoodie is a comfort essential this season, it features a super soft brushed inner lining that is perfect for when the weather starts to get chilly. This hoodie also features a draw cord hood, a zip fastening and a Superdry logo across the chest. 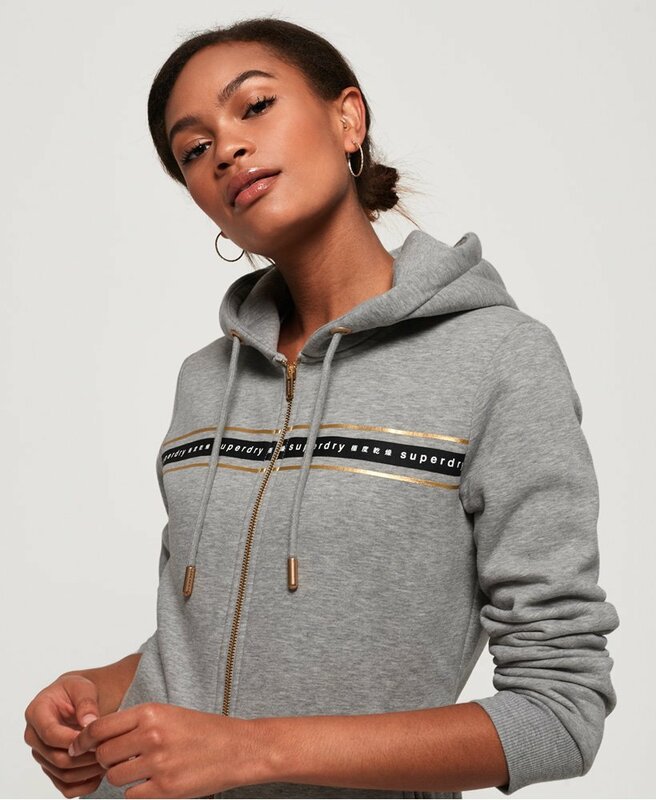 The Alice zip hoodie also features two zip pockets to hold your phone and keys, Superdry branded zip pull and a Superdry badge below the zip pocket. To channel the athleisure trend, wear this zip hoodie with a pair of our joggers and trainers for the perfect look.